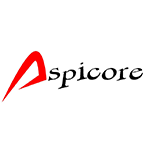 Aspicore Ltd is a flexible and experienced software company located in Espoo, Finland. Aspicore Ltd provides its own innovative software products and software development services for customers. The company specializes in database applications.